Mary’s apparitions to St. Bernadette continue to nourish the Church today. 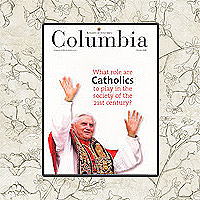 Published in Columbia, February 2008. Lourdes is not a historical museum commemorating an event from the past, but a vibrant source of physical, spiritual, and emotional healing and conversion for people of all faiths and walks of life. Why is Elizabeth, a convert, so on fire about the Sacrament of Reconciliation? Because God helped her understand the power and grace of this sacrament in an unforgettable way. Bernadette Soubirous was only fourteen years old when she encountered Our Lady. Her faith and determination to stand up for what she saw and heard in that grotto is an inspiring witness to young people everywhere. 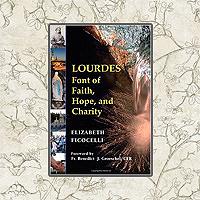 Paulist Press, e-Book Available— With a foreword by Father Benedict Groeschel of EWTN ‘s Sunday Night Live with Father Benedict Groeschel, and a new publication to celebrate the 150th anniversary, this fascinating book examines Lourdes, one of the world’s most popular Marian places of pilgrimage and site of Mary’s apparitions to Bernadette Soubirous.